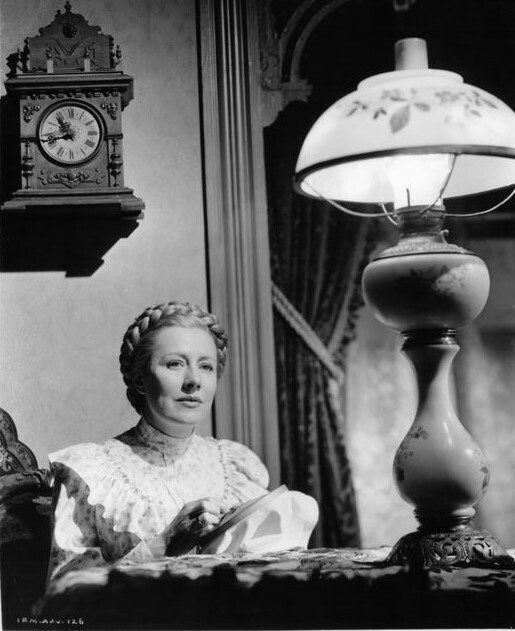 Irene Dunne in I Remember Mama (1948) is one of the classic movie moms featured on TCM this week. Every Tuesday and Wednesday in May, TCM is airing films from iconic leading man Clark Gable. This week features some of his best films with frequent costar Joan Crawford, including Possessed (1931), Strange Cargo (1940), and Dancing Lady (1933). There's also a lineup of creature features and an evening dedicated to classic movie moms. 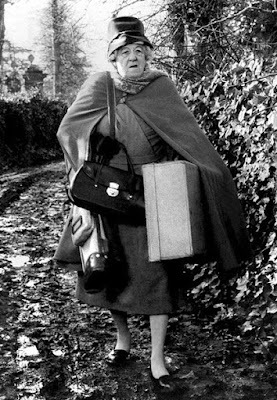 Birthday tributes: Margaret Rutherford on Thursday. TCM Film Noir Franchise: Cop Van Heflin's obsession with the lovely Evelyn Keyes goes too far in the nail-biting thriller, The Prowler (1951) at 10 a.m.
Silent Sunday Nights: Four early shorts from comedy maestro Mack Sennett starting with squabbling servants and masters in With A Kodak (1911) at 1 a.m. Also airing are Charley Chase as a love-struck young man in Hash House Mashers (1915), Ford Sterling as a henpecked angler in A Fishy Affair (1913), and Sennett himself as a jealous barber in The Manicure Lady (1911). Finally, Sterling plays a bumbling cashier in A Grocery Clerk's Romance (1911). TCM Imports: Two films from Japanese director Kon Ichikawa starting with his adultery drama Odd Obsession (1959) at 2 a.m. Conflagration (1958) at 4 a.m. follows the psychological breakdown of a young Buddhist monk (Raizo Ichikawa). Best Day to DVR: All-day Sunday. 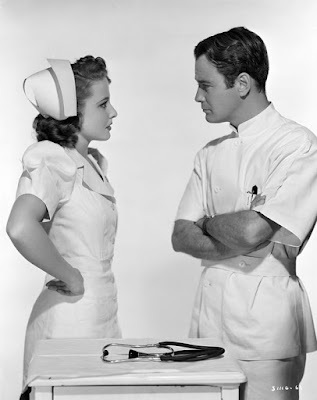 There's a great lineup of movies about Moms starting with Olivia de Havilland as the protective mother of developmentally disabled daughter (Yvette Mimieux) in Light in the Piazza (1962) at 8 a.m. and ending with Bette Davis as an apple-seller turned society matron in director Frank Capra's Pocketful of Miracles (1961) at 10:30 p.m. In between, you've got superstar moms Joan Crawford (Mildred Pierce), Lana Turner (Imitation of Life), and Irene Dunne (I Remember Mama). 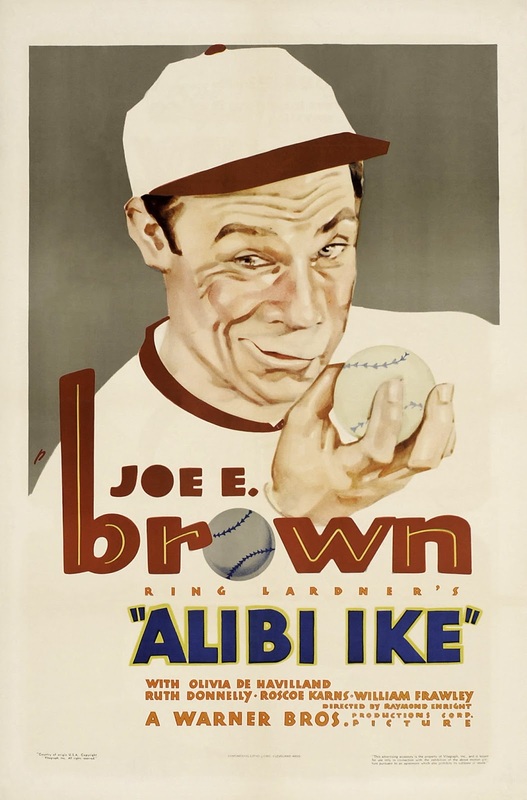 Three daytime picks: The theme is movies about gambling starting with real-life couple Al Jolson and Ruby Keeler in the backstager Go into Your Dance (1935) at 8:45 a.m. (He plays a demanding Broadway star who gets mixed up with the wrong crowd). The screwball Married Bachelor (1941) at 1:30 p.m. finds husband Robert Young posing as the author of a book on bachelor life to pay a gambling debt. Finally, baseball sensation Joe E. Brown gets mixed up with the mob in Alibi Ike (1935) at 3 p.m.
Prime time lineup: The prime time lineup features movies about cattle drives starting with James Stewart and Walter Brennan on a cattle drive through Alaska in director Anthony Mann's Western The Far Country (1955) at 8 p.m. Next, John Wayne trains a group of boys for the big drive in The Cowboys (1971) at 10 p.m.
Late night pick: Sheriff Rock Hudson pursues cattle-driving murderer Kirk Douglas in the soaper, The Last Sunset (1961) at 2:15 a.m.
Joan Crawford and Clark Gable on the set of Possessed (1931). Three daytime picks: The theme is movies starring child actor Margaret O'Brien starting with the schmaltzy comedy Lost Angel (1943) at 7:30 a.m. about an young girl who is being raised as a genius. The Secret Garden (1949) at 4:15 p.m. is based on Frances Hodgson Burnett's children's novel about a young Victorian girl who transforms an abandoned garden. The musical Meet Me in St. Louis (1944) at 6 p.m. features O'Brien as the youngest member of the turn-of-the-century Smith clan. Prime time lineup: TCM is airing movies from star-of-the-month Clark Gable every Tuesday and Wednesday in May. 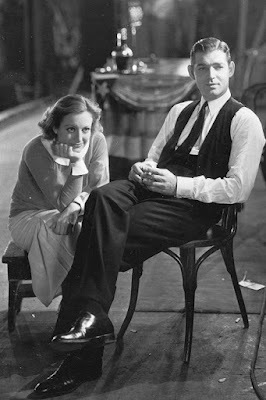 Tonight's lineup features his movies with Joan Crawford starting with their best film together, the pre-code soaper Possessed (1931) at 8 p.m. Their final film together was the unusual prison escape drama Strange Cargo (1940) at 9:30 p.m.
Late night pick: Dance, Fools, Dance (1931) at 11:30 p.m. finds Crawford as an enterprising reporter who is set on bringing down gangster Gable (guess what happens). Showgirl Crawford and demanding theatrical producer Gable clash in love and on Broadway in Dancing Lady (1933) at 2:45 a.m. Other Gable-Crawford movies airing are the love-triangle drama Chained (1934) at 2:45 a.m., the Salvation-Army soaper Laughing Sinners (1931) at 4:15 a.m. and the rom-com Forsaking All Others (1934) at 5:45 a.m.
Marilyn Monroe, Lauren Bacall, and Betty Grable in How to Marry a Millionaire (1953). Three daytime picks: The Gable-Crawford movies continue with the It Happened One Night (1934) reboot Love on the Run (1936) at 7:15 a.m. The rest of the day features films with some of Gable's other leading ladies like Marion Davies (Cain and Mabel (1936) at 10 a.m.), Norma Shearer (Idiot's Delight (1939) at 11:45 a.m.; this is the movie where Gable sings "Puttin on the Ritz"), and Rosalind Russell (They Met in Bombay (1941) at 1:45 p.m.). 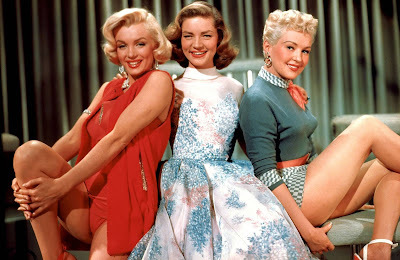 Prime time: The prime time lineup is devoted to films about models starting with the lovely Rita Hayworth as a Cover Girl (1944) at 8 p.m., followed by husband-hunting models Marilyn Monroe, Betty Grable, and Lauren Bacall in How to Marry a Millionaire (1953) at 10 p.m.
Late night pick: Lana Turner plays a small-town Kansas woman who climbs to the top of the modeling industry in A Life of Her Own (1950) at 2 a.m.
Three daytime picks: A birthday tribute to the great English actor Margaret Rutherford, who was born May 11, 1892, in Balham, London. The day starts out with Rutherford's breakthrough role as a fake medium who accidentally conjures up a real ghost in the film adaptation of Noel Coward's play Blithe Spirit (1945) at 9:45 a.m. Rutherford was a star of several fifties British comedies like Trouble in Store (1955) at 2:45 p.m. in which she plays a department-store shoplifter. Rutherford also played Agatha Christie's amateur sleuth Jane Marple in four films, including Murder Ahoy (1964) at 4:30 p.m.
Prime time lineup: TCM is putting the spotlight on creatures features every Thursday in May. Tonight's lineup features insect monsters starting with a giant pterodactyl that terrorizes Tokyo in the Japanese horror film Rodan (1958) at 8 p.m. Next, prehistoric spiders invade the Mexican countryside in the fifties sci-fi flick The Black Scorpion (1957) at 9:30 p.m.
Late night pick: A giant bug terrorizes Washington D.C. in The Deadly Mantis (1957) at 11:15 p.m.
Laraine Day and Lew Ayres in the Dr. Kildare series. Three daytime picks: The theme is movies about doctors starting with the landmark silent film The Cabinet of Dr. Caligari (1920) at 7:30 a.m. that stars Werner Krauss as a bizarre hypnotist. Next, Fredric March won an Academy Award for his performance as a Victorian scientist in Dr. Jekyll and Mr. Hyde (1932) at 10:15 a.m. Finally, the idealistic Dr. Kildare (Lew Ayres) starts a small-town clinic in Dr. Kildare Goes Home (1940) at 5:15 p.m.
Prime time lineup: The lineup celebrates the 50th anniversary of film made in 1967 with two Oscar-winning classics. First, director Mike Nichols won a golden statuette for his work on the coming-of-age classic The Graduate at 8 p.m., followed by In the Heat of the Night at 10 p.m., which won five Oscars including best picture and best actor for Rod Steiger. Late night: Katharine Hepburn won a best actress trophy for playing one-half of a liberal couple (her husband is frequent co-star Spencer Tracy) who are challenged by the daughter's engagement to a black man (Sidney Poitier) in Guess Who's Coming to Dinner at midnight. The Essentials series continues at 8 p.m. with new host Alec Baldwin. He will be joined by former late-night host David Letterman to discuss director Elia Kazan's family drama East of Eden (1955), which stars James Dean, Raymond Massey, and Jo Van Fleet. The Essentials will be followed by two more films starring Van Fleet: the actor plays singer Lillian Roth's ( Susan Hayward) domineering stage mother in the biopic I'll Cry Tomorrow (1955) at 10:15 p.m. Another Kazan drama starring Van Fleet is Wild River (1960) at 12:30 a.m. It's about the impact of the Tennessee Valley Authority dam system on the local inhabits. Get ready for a day of Mom movies starting with Olivia de Havilland as a protective parent in Light in the Piazza (1962) at 8 a.m. The rest of the lineup is Jane Wyman as an independent single mom in So Big (1953) at noon; Joan Crawford as noir's best-known mother in Mildred Pierce (1945) at 2 p.m.; Esther Minciotti as a smothering Italian mama in Marty (1955) at 4 p.m.; Mothers of rebellious teens Lana Turner and Juanita Moore in Imitation of Life (1959) at 5:45 p.m.; Irene Dunne as a saintly Scandinavian matriarch in I Remember Mama (1948) at 8 p.m., and Bette Davis as a Cinderella mom in Pocketful of Miracles (1961) at 10:30 p.m.